U.S. regime change operations in Latin America have seven consistent features. 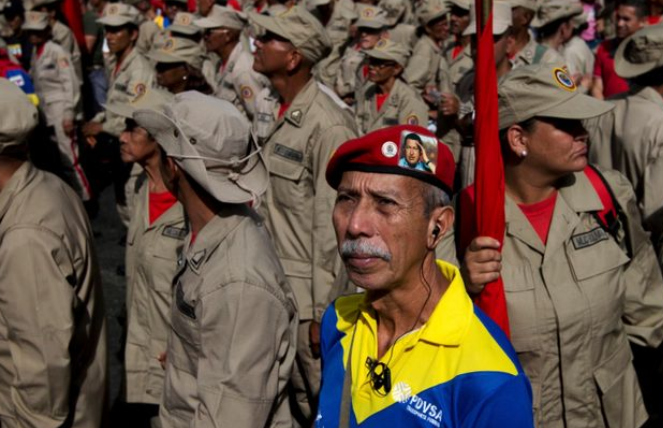 1 Feb 2019 – As President Trump pulls U.S. troops out of Syria and Afghanistan, his secretary of state Mike Pompeo and national security adviser John Bolton are taking their frustrated interventionist impulses south to Venezuela. In the 2015 book”The WikiLeaks Files: The World According to US Empire,” the radical transparency group highlighted numerous State Department cables documenting how the United States sought to undermine elected governments whose policies were opposed by local economic elites and U.S. policymakers.